The new 52 x 11' series will broadcast on Channel 5's Milkshake! 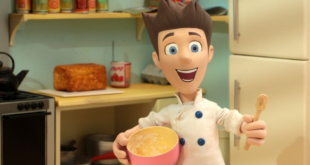 A partnership between Hoho Rights and Picturehouse will see the animated series screened in special Toddler Time sessions in 33 of the company’s cinemas across the UK. Pre-school series Cloudbabies has been acquired by ETV, while MBC has snapped up comedy Everybody Loves a Moose. Hoho Rights is taking over the reins with a view of appointing licensees across plush and publishing. The commercial arm of kids’ production company Hoho Entertainment will be launching Puffin Rock at BLE 2015. 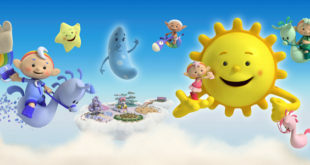 Cloudbabies has been acquired by Asian broadcasters TVB Pearl in Hong Kong and Mediacorp in Singapore. Global Solutions for Clothing has been appointed by Hoho Entertainment to produce the new collection. Each episode will be the result of input and interaction from the TotallyTween audience. Joan Packard Luks at The Serenata Group will now represent the growing pre-school property across the region.